Our team of Adventure Nannies are hand-selected to support a broad spectrum of needs. These are the world’s most capable nannies, searchable by their superpowers. Many of these nannies have found permanent placements through Adventure Nannies, but we believe they truly exemplify the caliber of candidate a family can expect when launching a search with us. Alyssa is originally from Madison, WI where she obtained a degree in early childhood education. She is a former student teacher, camp counselor, full time & summer nanny. Her extensive childcare experience led her to New York City where she has cared for over a dozen families ranging from toddlers to teens. She has worked as a short-term nanny, travel sitter, & on-demand sitter. Alyssa loves the outdoors & sports; she’s a Packers fan, enjoys basketball & football & playing tennis. Alyssa is a smiley, outgoing, hard worker that loves spending time with children. Alyssa loves to travel and enjoys exploring new places, cultures and ideas. She is known for turning everyday moments into teachable moments and loves a good adventure. Brittany has over ten years of experience working with children-- from newborns to preadolescents! 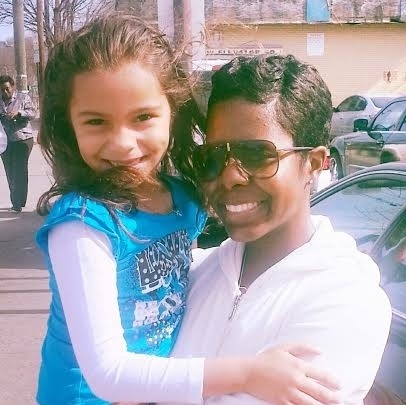 In addition to being a built-in nanny to 4 younger siblings, she started her own babysitter service at the age of 14. Equal to her love of children, is her love of language. In kindergarten, Brittany attended a French Immersion school and she became a nearly native speaker at an early age. As the daughter of a flight attendant, Brittany has traveled to many places including: The Philippines, Hong Kong, Europe, Mexico, St. Martin, The Bahamas, and all over the U.S. 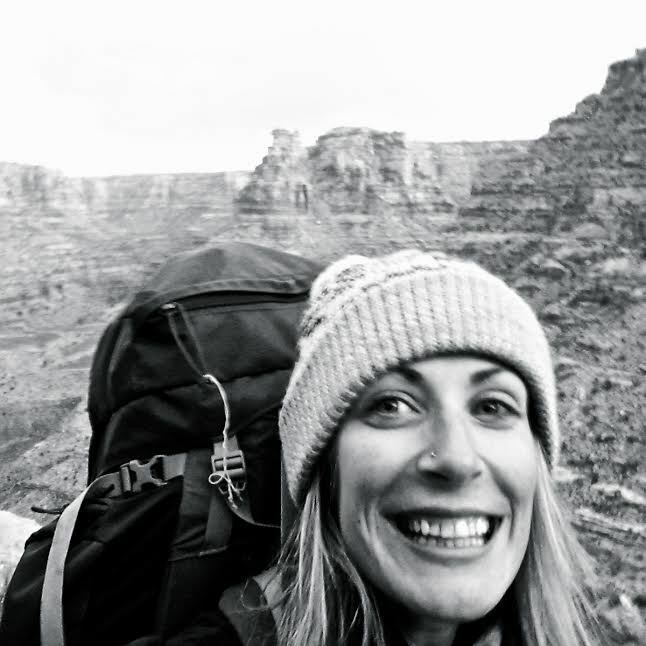 Her love of travel led her to move to Australia, where she spent a year traveling around the country in a van, then spent 3 years in university studying Ecotourism. As a nanny, she loves to be creative by making up games, telling stories and experimenting in the kitchen. She is looking forward to joining your family’s adventures and is sure to bring something special to the table. Alanna is a true believer in traveling with purpose. She has spent much of her life traveling to every corner of the world, to teach and to learn, partly thanks to strong encouragement from her family. Alanna has made it to Nicaragua, Nepal, India, New Zealand, Italy, China, South Korea, Israel, Egypt, Australia, France, Mexico, and the Cook Islands. On top of that impressive list, she has also managed to get 5 years of teaching under her belt in Pre-K, Kindergarten, Third, and Sixth grade classrooms. She is also a certified yoga instructor, a science camp director, and a soon to be co-writer of a book. Despite her love of teaching and her future goals to return to education, Alanna is excited to take some more time to explore her passion for traveling to learn, grow, and explore. Kasey Price is an Atlanta, Georgia native with an insatiable wanderlust, an adventurous spirit and over 20 years of childcare experience ranging from equestrian camp counselor and daycare teacher to high-profile nanny for bands, actors and professional athletes. She has held live-in nanny and personal assistant jobs for clients in Wisconsin, Texas and North Carolina and also worked with several families in New York during her six year stint there as a music publicist. One of her favorite experiences in life has been accompanying the special needs children from the therapeutic riding school she volunteers with to the Special Olympics. She recently returned to Atlanta after a 6 week jaunt as a tour nanny with a husband/wife duo and their two children, finding the best playgrounds in New York City, Los Angeles, Paris, London, Liverpool, Glasgow, Amsterdam, Utrecht, Brussels, Lucerne, Barcelona, Madrid, A Coruna and San Sebastián. When she's not riding in the backseat of a van, she can be found riding horses, surf boards, dirt bikes and mechanical bulls. Tessa has fifteen years of professional childcare experience. She studied Early Childhood Education at Santa Barbara City College and is currently studying Mental Health and Wellness in an online grad program. She currently lives in Gardnerville, Nevada. She currently works for Outward Bound Yosemite. Tessa loves anything outdoors (surfing, travel, paddle boarding and snow skiing). She hopes to adventure with families for the next 8-10 years and then buy a house and foster children with special needs.She is ready to care for your children and is excited to meet your family! McKenzie has spent the past 8 years working with children and celebrating life through their constant sense of discovery. She is an artist that works in several mediums, including musical theatre, playwriting, and special effects makeup. She has experience with children ages 0-14. She earned her Bachelor of Arts in Women’s and Gender Studies in Montclair, New Jersey and she will pursue a Masters in Social Work in order to become a performing arts therapist. McKenzie loves facilitating a passion for the arts with children, and she has directed and administered several children’s theatre productions and drama camps. She is infant, child, and adult CPR and First Aid certified. McKenzie has traveled all over Europe and Asia, and she is constantly looking for new opportunities to explore the world. She is a purpose driven young woman who craves adventure, and she is always willing to do things she’s never done before. Carly has over ten years of childcare experience for a number of families throughout the Seattle area and abroad in Barcelona, Spain. She loves teaching children how to Geocache– a high-tech outdoor treasure hunt game that encourages people to go outside and explore. She has spent much her life traveling to unfamiliar places around the world including South America, Europe, Mexico, the US, and the Caribbean. Her absolute favorite trip was to the Galapagos Islands, where she learned about Darwinism and how to swim with giant sea turtles. When she’s not working as a communications professional in Seattle, she’s taking continuing education courses online, writing, hiking throughout the Pacific Northwest, trying a new dance class, or planning her next big trip. Amanda has 8 years of professional childcare experience, and a Masters Degree in Educational Psychology. She has worked with children with special needs on many levels, through camp counseling, teaching, and therapeutic support staff (TSS) – providing support to children with mental health and behavioral diagnoses. Amanda has handfuls of travel experience and location expertise, from her many trips to Panama, Puerto Rico, Japan, Germany, Spain, Portugal, France, Ireland and Greece. Throughout her travels she has managed to pick up the basics of French, Spanish, Greek, and Japanese! Amanda knows how to plan educational and enriching activities for children, but also understands the necessity of “rolling with the punches” and improvising as needed. Overall, Amanda wants to help your family achieve your vision of the perfect adventure! Kate is currently perusing her degree in Early Childhood Education and Exceptional Needs from Purdue University. Through her degree and independent work she has experience with infant through school age children, twins and children with special needs. She has worked as a nanny, daycare instructor, preschool assistant teacher, toddler gymnastics instructor and babysitter. These experiences have made her the fastest slip-n-slide setter-upper, the best card shuffler, the most skilled sheet-fort architect, and the most creative face painter! Kate is originally from the East Coast although she has also lived in the Midwest and South. Kate loves exploring new cultures especially when there are new foods to try! She has a passion for working with infants and young children. She is a Certified Newborn Care Specialist and she is certified in CPR and First Aid. Kate has an upbeat, positive, silly-but-strict attitude that makes her the perfect nanny to join your next family adventure! Glassiel was born and raised in NYC, she has a bachelor’s degree in psychology, and over 4 years of child-related work experience. Glassiel’s patience, optimism, and compassion towards children have allowed her to succeed as a nanny, camp counselor, and program assistant at the Boys and Girls club. Her parents emigrated from the Dominican Republic, which has taught Glassiel the value of hard work and determination. She is bilingual and easily adapts to change. She has an adventurous spirit and loves learning as much as teaching. Glassiel’s travel experiences to Australia, New Zealand, Fiji, South America, and Central America has enhanced her navigation skills and knowledge of different cultures. Glassiel is not a person to give up. Her perseverance and ability to put herself in others shoes, has helped in her adventures and previous occupations. Honor is an extremely accomplished and well traveled woman. She has a Bachelors in Spanish, which she achieved studying in Seattle and Mexico. She also holds a Masters in Teaching – Secondary Education, which she received while studying and working in Madrid, Spain. Honor has traveled extensively, and is therefore a very efficient traveler. She enjoys visiting art and history museums, especially when she can go with children and facilitate learning opportunities. She also loves DIY projects like painting, sewing, and building. Honor prides herself on cooking new and healthy foods regularly, but that won’t stop her from making a delicious baked good every now and then! Carolina was born in Costa Rica and at age 3 moved to the US with her family. She has been babysitting since age 13 and nannying for 4 years. She has experience as a live-in nanny for kids ages 2 months old to 13 years old. She has looked after traveling families’ children while spending a year back in her native country. She has the ability to make teaching fun while having the children speak and understand both English and Spanish. She loves learning about other cultures and experiencing nature. She has traveled to Mexico, Ecuador, Peru, Thailand, and India. She believes in creating a fun and playful learning environment for kids, one in which they can explore and develop self-confidence to achieve their goals big or small. Sammy is a Colorado native with an adventurous and bubbly personality. She has worked extensively with Campus Corps - a mentor program for troubled youth at Colorado State University, spent a semester working with a Montessori Preschool, and has been a nanny for many years. Sammy is currently studying Nutritional Therapy in Denver, and applies the knowledge she has gained from her studies to help the families she works with. She loves to travel and explore new places, often participating in outdoor activities like kayaking in Alaska, backpacking through Utah, camping, hiking, rock climbing and skiing throughout Colorado. She is a certified Yoga instructor, enjoys dancing, and playing her ukulele. Sammy is generous, kind, and extremely excited to begin a new adventure with your family! Sancha is an extremely accomplished teacher, and for over a decade she has been exploring her love of expanding young minds and helping children discover what they are passionate about. She has worked in New York and New Jersey, helping children become motivated and determined to learn. Sancha has excellent time management skills and prides herself on providing creative learning opportunities. She also has an innate ability to improvise activities to keep children busy in case of any sort of delay – a trait that is truly desirable in any travel nanny! Sancha is excited to show families what she has to offer as a nanny, and hopes to be a part of a family that is ready to learn and grow together. Gabrielle has been a professional nanny for nine years. She has worked with many infants and children from 2 months to 13 years, multiples and one on one. She is a native to the Pacific Northwest and has lived in Texas, Hawaii, and the US Virgin Islands. She now resides in Portland, OR where she enjoys camping, hiking, biking, cooking, dancing (horribly), going to the theatre, trips to the coast, being spontaneous, working toward her degree in Writing and Child Psychology, and finding ways to bring humor, laughter, and kindness to each new day. She loves adventure, new experiences, adores teaching, and will creatively find the very best way to introduce, support, and guide children to discover their own love of exploration, learning, creativity, imagination, and life. Nicole has over 10 years of childcare experience with children from 9 months to 12 years old. She has worked not only as a nanny, but also as a family assistant, babysitter, freelance artist, and she even worked for Americorps. At Americorps, Nicole coordinated volunteer community service programs for students, in locations such as New Orleans, Virginia, North Carolina, and even Kenya. Nicole did all of the travel planning for these trips, including but not limited to flight bookings, fundraising efforts, and scheduling. She would be a fantastic asset to your family’s travel planning! Nicole has lived in Hong Kong, and traveled through Europe. She is bubbly, enthusiastic, and ready for an adventure with your children! Tracy has been working with children on and off throughout the past 10 years ranging from infants to 12 year olds. She received her A.A. in Visual Communications from The Fashion Institute of Design & Merchandising in Los Angeles and her B.A. in Liberal Arts with a minor in Media Studies from Colorado State University. She’s passionate about children, animals, traveling, and anything creative. She has lived on the east coast, the west coast, and traveled in between. She loves new places, new things, spontaneity, crafting, fashion, art, and hiking. She believes that children help you stay open-minded, imaginative, and creative. Heather is a true southern belle with a sunny disposition, originally from Atlanta, GA. She has visited more international destinations than states in America. She has over 15 years of childcare experience with children from newborn to age 10. Heather’s passion for children comes from her loving and supportive family. She loves to work with families long term and watch children grow and learn throughout their childhood. She speaks intermediate Spanish and basic Swahili. Her hobbies include jet skiing, horseback riding, attending the opera and theater, and basically any activity that allows her to be active in the outdoors. Heather is loving, bubbly, patient, dependable, trustworthy and creative. She is excited to join your family for your next adventure, whether it be for a few months or the next few years! Emma has over 12 years of experience working with children of various ages, including roles of camp counselor, toddler nanny and college counselor. She has is an avid traveler, and has lived on 3 continents. 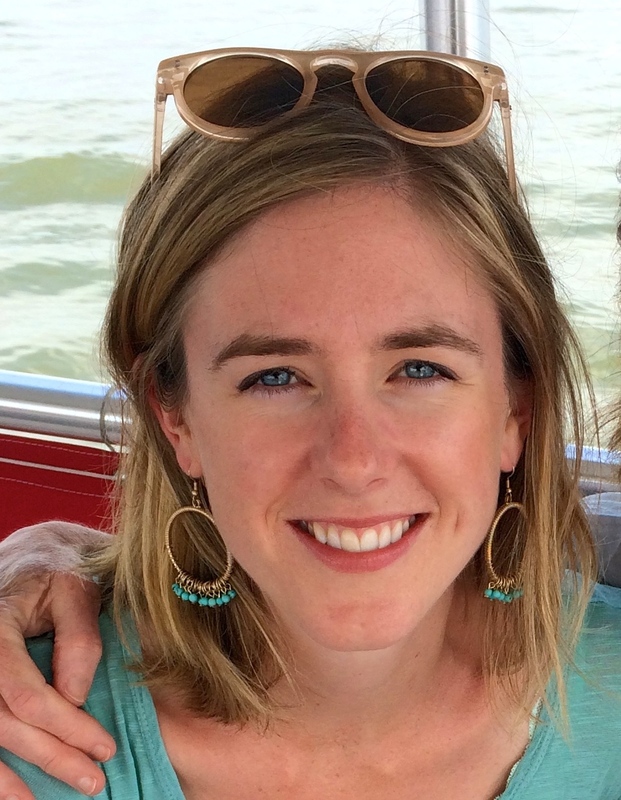 Emma received her Bachelor’s education at Smith College and is currently pursuing a Master’s in Social Work. 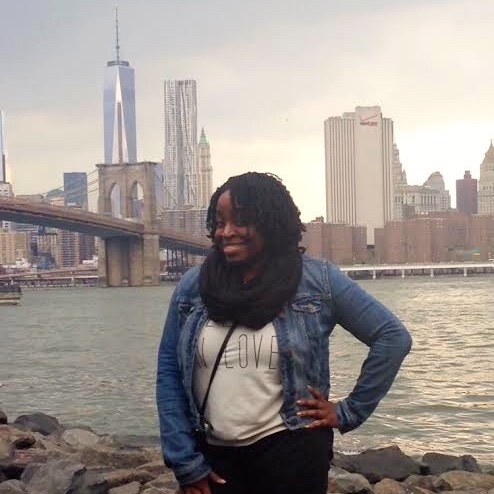 She is eager to combine her love of travel with her strong knowledge of child development and social-emotional learning to help families make the most of their experiences abroad, or in her home city of Brooklyn, New York. Emma is a confident, patient and kind caretaker who is comfortable planning new and fun activities for children, or providing help alongside parents following family itineraries. Haley loves adventure. Fresh from American University in Washington, DC, where she studied Criminal Justice and Education, Haley is eager to set off on her next big adventure. For the past five years, Haley has balanced her love of childcare, with the stress of college life, always finding time to build relationships with and between children. After working at summer camps in Ohio, Maine, and New York, and outdoor education and after-school programs in DC, Haley has a bag full of tricks, games, and silliness that she is eager to share with families. When she studied abroad in Ireland last fall, she discovered her travel bug and is now eager to share an adventure with a family. 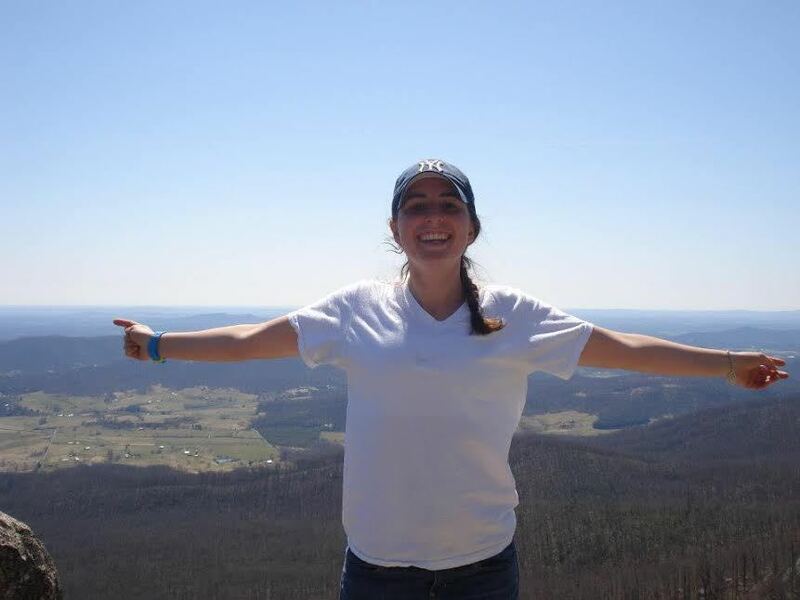 Haley is trained in operating high ropes courses and loves climbing when she has the time. She is also CPR and first aid trained, always following her mother’s motto: “Safety first!” Haley is eager to tap into the imaginations of every child, helping them find adventure in even the most usual of circumstances. Sara is easy-going, creative and compassionate in her approach to life and childcare. She prefers to be on the go and preferably outside. She has taken young charges hiking in backpacks, piled in kayaks with dogs, down ski slopes, and out in the water while snorkeling. If there is a wildlife refuge, beach, body of water, or park nearby, she will sniff it out! Sara has traveled to Austria, Germany, Finland, and the Bahamas, and has lived in Rhode Island, New Mexico, California, South Carolina, and Utah. Since earning her undergraduate degree in German, she has been working as a full-time nanny, managing an art gallery, and doing as much yoga as possible. She is in awe of young children and renewed by their sense of wonder, curiosity and utter lack of self-consciousness. Tess has lived in New York, Madrid and Los Angeles, and traveled extensively throughout Europe and the US. She has a Masters in Elementary Education from Loyola Marymount University in LA, as well as a BA in Spanish Literature and Visual Arts from Columbia University in NYC. Tess has five years of professional teaching experience and two years of tutoring/test prep experience. Tess loves traveling, kids, dance (10 years ballet training), yoga, swimming, cooking, and has conversational, reading, and writing fluency in Spanish. For more Private Educators, click the "Teacher" Superpower on our Meet The Nannies page! Christina certainly knows all about adventure! She is currently earning her Wilderness First Responder training and loves to take children into the outdoors for hands-on learning. Christina was inspired to work with children from her own experience in school as a child. Her dyslexia was not addressed accurately, and she spent many years struggling and uninspired in school. Christina now dedicates her time to advocating for children in similar situations. She has dedicated her career focus to experiential education in many forms. From enrichment programs, to outdoor and environmental organizations. When she’s not teaching, she loves to travel and learn what she can from every location she visits to get a fresh perspective and to seek new adventures. Seneca splits her time between Denver, Colorado where she is a beekeeper during the fall, winter and spring, and Idaho where she is a white water rafting guide during the summer. She has over 10 years of childcare experience and has spent time in destinations like Iceland, Italy, France, Hawaii, and Mexico. She’s explored cities all over the U.S. and is a certified Wilderness First Responder. Mindee has been a performer for and with children for over twenty years and has fifteen years of on-the-job experience taking care of adorable tiny humans. She has been a preschool teacher, an art teacher, a musical theatre teacher, and a dance teacher. She has created, managed, and facilitated swim academies, summer camps, birthday parties, concerts, teen nights, field trips, and fundraising events. She has been a nanny for several families in Florida, Maryland, and New York, and has “just-plain-ol’-babysat” for hundreds more. She works with quite a few celebrity families and holds confidentiality and professionalism in the highest regard, all while still being super fun and a giant ball of sunshine, of course. Her passion for working with the aforementioned tiny humans, her child-based event planning experience, and her love of traveling and seeing the world make her a superstar nanny. Mindee currently lives in Los Angeles, CA. Zoe has spent 10 years following her two passions: working with children and traveling. She earned her Bachelor of Arts in Early Childhood Development in San Francisco and is currently enjoying all life has to offer while living in New York City. 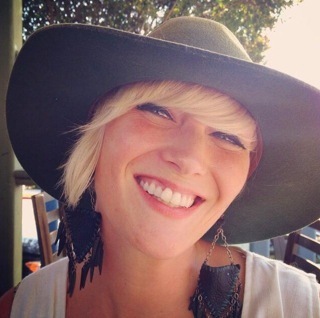 Zoe spent many years working in preschools in California and has been a nanny for children ages 0-8. She has traveled extensively throughout Europe and also has adventured to many countries in South America and Australia. She loves exploring, being outdoors, going on adventures and practicing yoga. Zoe absolutely loves combining both her passions in traveling with children — it’s always an amazing and rewarding adventure! Betzi has spent over 11 years working with people with autism and physical and developmental disabilities. She is proficient in American Sign Language and has worked for 5 years as a personal caregiver and camp counselor for people with disabilities of all ages at Easter Seals Camp in Colorado. She has instructed ski lessons at the Adaptive Sports Association in Durango CO, taught in a Montessori school, and is a certified Wilderness First Responder. Her extensive travel list includes living abroad in Europe and she has a Bachelor’s degree in Sociology. Alex is a creative, adventurous Colorado native. She has been pursuing her love of all things Theater from a very early age, and has recently begun to explore her love of writing and literature. After studying in London during college, she discovered her travel bug, spending her free time abroad traveling through Ireland, England, Belgium, The Netherlands, France, Italy, and Austria. She has also traveled in Mexico, Canada, New Zealand, and visited upwards of 40 US states. Alex has plenty of experience working with and caring for children. Alex has been a personal assistant, Irish Dance teacher, babysitter, and nanny, and as a plus to any of your children’s ripped clothing, Alex has experience being a stitcher and costume designer as well! While she is an avid solo traveler, Alex would love to experience the thrill of a new, exciting places from a child’s perspective. She loves spending time with kids while learning with and from them, whether it be through board games, baking, reading, or playing. Alex is very experienced in all the adventures (and misadventures) traveling can bring, and would love to help your family experience those adventures with ease! Susan grew up in Chicago and has spent the last few years living in rural Ohio. She has a Bachelors in Music Education from Roosevelt University and three years of experience providing care for children and young adults with special needs as a camp counselor. Susan has also worked as an outdoor educator, helping kids experience and explore the outdoors and learn about the environment around them. Her style is quick, rooted in positive reinforcement, and peppered with music, art, and love. Susan is ready for a journey of discovery and education with your family! Keisha is a native New Yorker, born and raised in Brooklyn. She has a BA in Communication Arts from the College of New Rochelle, where she also studied Childhood Education. Keisha is currently pursuing her Masters in Early Childhood Education. She is certified to teach newborn through sixth grade and holds many other certifications like CPR, First Aid, and Infectious Disease Control. Keisha has five years of teaching experience as well as two years of nanny experience. She loves traveling, walks in the park, listening to music, reading, writing poems and most of all, being around children! Kelsey has spent most of her life fulfilling her passion – working with children and traveling the world. She has a degree in Child Development from California State University, Chico and has recently relocated to Aspen, CO. Kelsey spent six months in Europe working in Child Development Center’s on military bases and seeing everything that Europe has to offer. She just returned from a year long adventure in Australia, where she worked with local kids, traveled around with her best friend and learned all about Australian slang. Kelsey enjoys everything the outdoors has to offer: hiking, boating, snow skiing, swimming and even camping! She is not afraid to put herself out there and will do anything for the family/kids she is looking after. Kelsey is always searching for her next adventure where she gets to combine her two passions, working with kids and traveling! Cerridwen (pronounced Sara-dwen), has over 8 years childcare experience. She loves to travel, is extremely adaptable, positive, hilarious, and has worked with children as young as one day old, up into the teens. She has served as a full time nanny and vacation nanny for several families in Maine, Georgia, and Fishers Island, NY. 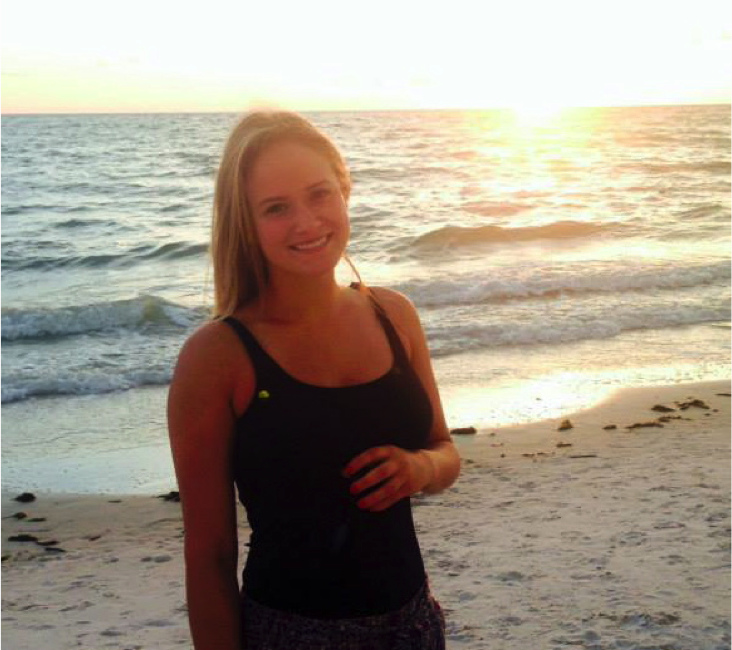 Cerri taught at a preschool in the Florida Keys, and directed the art and tutoring division of an after school program. She is infant, child, and adult CPR and First Aid Certified. This adventurous woman spent 4 years sailing in-between Florida and Maine on her own boat, where she taught countless kids how to sail, snorkel, and respect marine ecology. Having spent time in cities all over the US, Cerridwen has traveled in Scotland, and spent 3 months in Eastern and Southern Africa. She holds a BFA in Creative Writing through Goddard College and is working towards becoming a certified teacher. She currently lives on an organic farm on the Georgia coast. 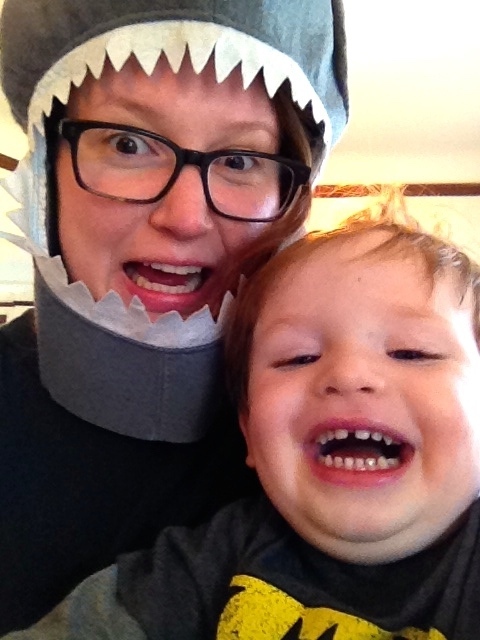 Lauren is a loving, playful, and organized caregiver with over ten years of childcare experience. She has a background in speech-language pathology and is classically trained in violin, piano, and voice. She’s traveled extensively with families, toured with bands, and enjoyed every location she’s ever visited. She would love to work for a family where her education, experience, and talents can be used to help children develop to their best potential wherever we may be adventuring. Rachel is a world traveler, art lover and silly soul who is inspired by cultures, places and people. Her working and non-working experiences with children have given her great joy, new insights and much knowledge, as well as the opportunities to nurture and educate. 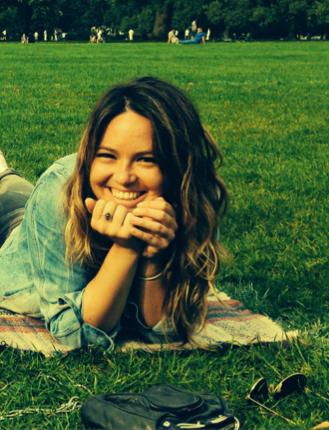 Previous experiences have led her to Belgium and Germany as an Au Pair. Rachel has over 10 years of experience working with children in all age ranges. Her approach to nannying, and life in general, is very active. She is able to develop and maintain a daily schedule while helping children to grow emotionally and further their educational prospects and abilities. Rachel is also a self-employed photographer who specializes in weddings, engagements and lifestyle photography. Her hitchhiking travels through Morocco and completing a 500 mile hike across Spain have been some of her favorite adventures. However, she’s always looking forward to the next! Katie has been working with kids in different capacities since she was 12 years old! She has worked with children at weekday camps, gym programs, babysitting and nannying, and as a teaching assistant at a Preschool. She is originally from Texas, but her adventurous nature couldn’t be restricted to one state! Katie has been to every US state, except Alaska, and she currently lives in Denver, CO, however her dream is to live in California. She has also traveled internationally to Mexico, Canada, the Bahamas, Puerto Rico, and the Philippines. It is clear Katie loves traveling, but she also has a deep passion for working with children. She enjoys outdoor activities, playing games, reading, and doing anything creative – which explains her infatuation with learning new things, and sharing that enthusiasm with the people around her. Katie is eager to make your next family trip fun and relaxing for the whole family! 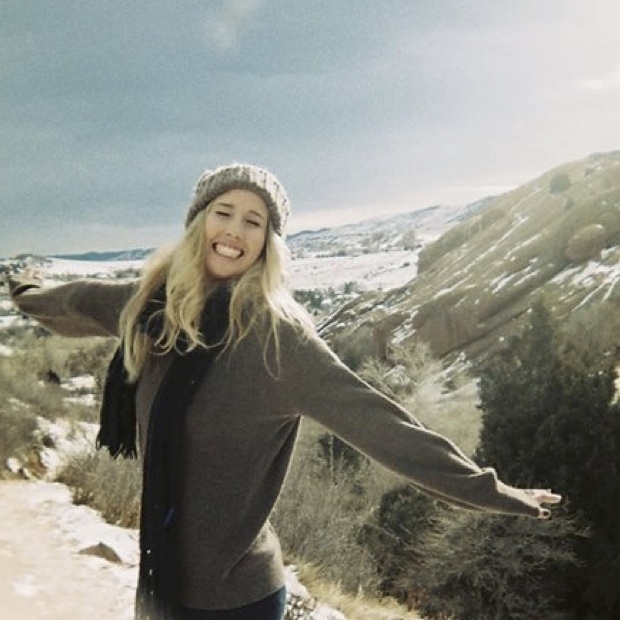 Despite her avid focus on education and childcare, Kristin has managed to find a way to feed her passion for traveling and experiencing the world. She holds a degree in K-12 Education, is a certified substitute teacher, and has been working with children since she was 17. She has traveled through the Mediterranean, Argentina, Switzerland, and South America. 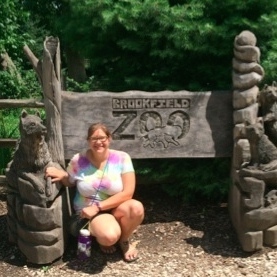 When not brushing up on her Anthropology and Linguistics knowledge, Kristin loves reading, singing, trying new things, dancing, and exploring zoos and aquariums. She is also a master face painter, and moonlights as a princess at children’s parties. Kristin is an experienced, and passionate nanny with a flair for the creative who would love to go adventuring with you! Sarah is passionate about finding creative ways to learn and play. She has worked with children in many settings such as outdoor activities and nature walks for young children at the Farm and Wilderness Camp in Vermont, working at the Montessori Academy of Colorado, producing musical theater with seven to sixteen year olds through Rocky Mountain Theater for Kids and leading arts and crafts and read-alouds at the Denver Public Library. Through Colorado Youth at Risk she spent a year as a mentor to a sixteen year old youth in Denver. She loves imaginative play, baking, biking, writing and holds a BA in French. She has traveled abroad in Europe where worked and lived in southern France for five months. In addition to being one of our star nannies, Sarah is Adventure Nannies skilled administrative assistant. Carmen is well versed in traveling with families. She has worked with a family on tour and a family who’s father was a sports team coach. Carmen understands just how valuable it is for a busy family to have an organized and driven nanny, and she embodies those qualities while on the road with kids. Carmen has a lot of experience working with children as a nanny, swim teacher, and volunteer for Children’s Hospital’s “Fill a Room with Care” Program. She strives to communicate clearly with the family to create the best possible environment for the children she cares for. Kaylee has been enriching the lives of the children around her for years. She has worked as a nanny, has been a teaching assistant in an 8th grade classroom, a camp counselor at a science-focused “Astrocamp”, and has been a children’s yoga instructor with an aim to teach stress management in schools. Kaylee strives to teach wellness, health, exploration, and confidence to all the children she works with, and does much of this using a “live by example” approach. She prepares healthy meals for the children she nannies and has conversations explaining the benefits of a healthy diet. Kaylee is enthusiastic and dedicated to caring for children, and most of all appreciates their “boundless creativity and unique perspectives”. Jordan embodies all the best parts of Southern charm. As a South Carolina native, Jordan says she believes in “Yes, sir” and “Yes, ma’am”, and teaches the children she cares for to respect others. She has traveled quite a bit, but her experiences working in a Mexican Orphanage on a Mission trip opened her eyes to all the possibilities of caring for children all over the world. Other than Mexico, she has traveled to Jamaica, the Bahamas, Spain, and Italy. Jordan has been working with children since she was 14, babysitting, doing birthday party “makeovers”, and nannying. Jordan is kind, honest and passionate about what she does, and she can’t wait to help you have the vacation you and your family have always dreamed of! Tabitha has already had such an adventurous nannying career. From camping, to embarking on a cruise, to traveling with families, she has added up nearly 10 years of childcare experience. She has run a lifeguard training summer camp, worked in a preschool and kindergarten and still finds time to nanny nearly full time. She has shown her passion for children in nearly every aspect of her life, and can barely wait to continue working with them. Tabitha would be a great addition to any family in need of some organized but reliably fun nannying! Caylen is a well traveled and determined young woman. She has nannied in a handful of different households and still managed to travel throughout Europe to England, Amsterdam, Austria, Germany, Italy, Switzerland and France, as well as throughout the US, Canada, Mexico, and the US Virgin Islands. Caylen volunteered at the Sky High Hope Camp, which provides exciting experiences like rafting, fishing, canoeing and hiking to children who are cancer fighters, survivors, and siblings of cancer patients. She said it was a humbling experience that reminded her how rewarding working with children can really be. Caylen is a compassionate person, who adores working with kids, and would love to be a part of your next adventure! Ciara has already worked her fair share as an adventurous nanny! Having been a nanny in California, Ireland, Switzerland and Chicago, she is familiar with the ins and outs of traveling with and for a family! Ciara is currently working on her Philosophy degree and Bioethics minor, and her goal is to work in Pediatrics. Ciara has worked extensively as a nanny and has also been a night nanny, working to sleep train infants, adjusting their schedules and routines as they grow. She has a deep seated love of family and caring for children, which comes from growing up in a large family. Ciara would love to help you thoroughly enjoy your next trip! Chloe has two passions, special needs education and traveling the world, and she has lived her life fulfilling these passions. She is currently working as an Applied Behavior Analysis (ABA) assistant and completing her Bachelors in Psychology, with a minor in Sociology. Outside of school she is volunteering at a non-profit equine therapy facility where she assists with special needs riding lessons and is training to become a therapeutic riding instructor. It is a fast paced environment where safety relies on quick and confident decision making. In her free time, Chloe loves to travel! She has traveled extensively, throughout the US, and in Europe to London, Bath, Dublin, Paris, Amsterdam, Copenhagen, Venice, Milan and many other cities. She is upbeat, passionate, adventurous and driven, and her line of work proves she is compassionate and patient when working with children. Katherine has worked with children in all sorts of settings; from community centers to public schools to drop-in shelters for homeless teenagers to summer camps. She’d love to come with you to whatever new destination your family hopes to visit! With her family rooted in Brazil and Bermuda, Katherine was taught at a young age how to travel successfully – she is adaptable, thinks on her feet, is open and welcoming, and loves to learn and see new things. Katherine is passionate about the well-being of children. She is a Family Advocate in two elementary schools in Shoreline, WA where her job allows her to teach students with various needs and challenging backgrounds social skills and adaptive skills to help them be successful in school and in life. Her role is also one of the core crisis interventionists for families in need in the school. Katherine is often the calm in the midst of the storm! Before working in elementary schools, Katherine worked in summer camps for low-income families, with Girl Scouts, in a shelter for homeless teenagers, and for many years in childcare and as a nanny. Alyssa has been a nanny for over 5 years, and has nearly 7 years of professional childcare experience. She has worked for a summer camp catering to children of all ages with developmental disabilities, in which she was educated each week on the disabilities of incoming students. The camp focused on everything the children could do, not what they couldn’t, which created a positive and nurturing environment. Alyssa has studied in New Zealand, Australia, and Japan, and traveled to Mexico frequently. She’s confident in her ability to navigate unfamiliar places. Above all, Alyssa loves learning things from the children she cares for, and values that as the most rewarding part of her job as a nanny. Amie is an artist who loves to get active and moving with kids. In her 18 years of childcare experience she has thrown (very merry!) un-birthday parties, taught surfing classes for kids at the Vero Beach Disney Resort in Florida, led children’s yoga classes, run a before/after school program for homeless youth, and taught abroad in Kenya, Thailand and India. She holds a Bachelor of Arts in English Literature and Art. She loves to build forts, guide whitewater rafting excursions, take road trips in her very own school bus, and travel abroad. Aime is a certified Wilderness First Responder, and has worked with children with Rett syndrome, autism spectrum disorders, PTSD and various psychosomatic challenges. Aimee’s methodologies center around Love and Logic, child-based play, Hi-Scope, and Montessori styles of interaction. She is adaptable to whatever best suites your families needs. Muriel has done everything from babysitting, personal assistant work, to nannying. She was born in Germany, and still maintains dual citizenship. She is the eldest of many cousins, and has a great deal of experience watching over many children at once. One of her cousins has Downs Syndrome, so Muriel has personal ties to caring for him. Throughout her childcare career, Muriel has also gained experience working with behavioral issues. With a father for a pilot, Muriel has done a great deal of air travel, primarily throughout the United States. Muriel loves taking children outside and finding ways to engage with them without the use of technology. Some of her favorite outdoor activities are picnics, walks, and treasure hunts! Jennifer has worked as a nanny is so many different capacities that it is hard to keep track! Currently located on the island of Maui in Hawaii, she works with families vacationing on the many resorts, making sure their stays are as stress-free and fun as possible. Jennifer has also worked for a few high profile families, and understands the stresses that can come with traveling on a strict timetable. Regardless of any stressful situation that may arise while traveling, Jennifer has learned to embody the laid back and kind attitude of Hawaii, and knows how to diffuse any situation quickly and with a bit of fun! Her kind and friendly disposition lends itself to great relationships with children and parents alike! Brenda has over ten years of experience working with children, and that is not even counting all the time she spent helping out with her 5 younger siblings! She has experience as a babysitter, a teacher, and a nanny. She has a BS in Sociology from Colorado State University, and is a certified yoga instructor. Brenda has lived in Mexico, the US, and China, and is bilingual in Spanish, proficient in Mandarin Chinese. She has traveled to England, France, Malaysia, Indonesia, and extensively through Mexico and China. Brenda loves to travel and immerse herself in new cultures and adventures. She enjoys a good hammock on a warm day and a strong cup of coffee in the morning. She cannot wait to be a part of your next adventure! Hannah is very creative, always searching for a new way to learn from her surroundings. She jumps at every opportunity to explore, evolve and teach. As nurturer at heart, Hannah loves to care for people and help them grow, which lends itself perfectly to caring for children. She is also well traveled, and has done so independently as well as with children. 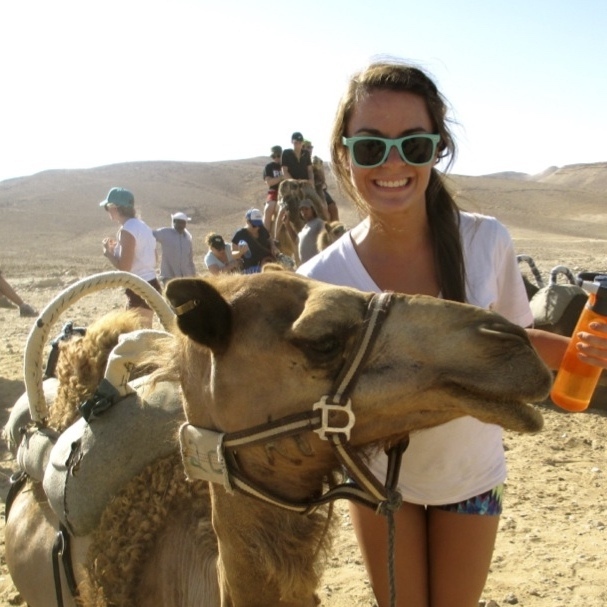 Hannah has been to Bermuda, Italy, Costa Rica, Thailand, Brazil, India, Jordan, Israel, Egypt, Canada and Mexico, and has traveled extensively throughout the US. She loves meeting new people, laughing and being outdoors. Hannah strives to create and share beautiful things with everyone around her, and loves teaching children to appreciate the beauty in life’s small moments. Elizabeth has worked as a Speech-Language Pathology Assistant (SLPA) for 6 years, and has worked with children with a variety of language disorders, physical disabilities, and behavioral issues. As an SLPA, she has traveled throughout the US to work with children in early childhood education pre-k classrooms and Head Start Programs. She holds a Bachelors degree in Communication Sciences and Disorders. Elizabeth loves being fit, but prefers dancing or kickboxing to the gym. She can settle down with a good book, but also loves exploring the outdoors and enjoying the sunshine on the beach. She has worked for summer camps and as a nanny, and loves to help children grow and learn. She is organized, kind, enthusiastic and fun. Elizabeth will make your next trip unforgettable! For the last 10 years, Lindsay has sought out experiences and opportunities across the country and the world. Throughout those years of exploration she has realized that she is happiest when teaching children and adolescents in the great outdoors. Lindsay has worked as a surfing instructor in Costa Rica, Puerto Rico and the Outer Banks of North Carolina. She has been a horseback riding instructor, a mentor and a tutor. She describes herself as an eager and comfortable traveler, who approaches life with an open and interested mind. Since traveling extensively through Central America, Iceland, and Thailand, Lindsay has settled in San Francisco and is working on starting a Girls Program that focuses on teaching young girls what they are capable of in the great outdoors. Lindsay promotes self confidence and positivity in her everyday life, and would love to begin an adventure with your family! Tasha’s nurturing nature and love of children has resulted in over eight years of childcare experience in many forms and for many ages, from infants to teenagers. Starting as a ‘mothers-helper’ when she was twelve years old and learning as she went along, by her senior year in high-school she was able to intern as an assistant teacher for a local pre-kindergarten class, teaching children not just how to read, but how to learn. Tasha has been a life long traveler, exploring countries across the globe, including Sweden, England, France, Austria, Italy and Japan. She is fluent in French, which comes in handy while she attends McGill University in Montreal, Quebec. Currently Tasha is completing her BA studying Art History and Comparative Religions while representing her school as a member of the varsity field hockey team. Tasha brings her passion and loving energy to every thing she does, and cannot wait to bring that to her next nannying adventure! Molly has mastered traveling in new, exotic locations. During multiple visits to Mexico and China, she has learned to explore unknown cities and cultures with confidence and a sense of adventure! On top of her numerous travel experiences, Molly has also been a nanny, a swim instructor and lifeguard, a camp counselor, and a Montessori Toddler Teacher. As a teacher, she has taught everything from basic spanish and sign language to fine motor skill activities like drawing and painting. She has worked with children from newborns up to 16 years of age. She loves exploring new cultures and countries, and learning from those experiences. Molly wants to help your family have a stress free and safe vacation by offering a trustworthy set of extra hands! Angela has been teaching deaf and hard of hearing children for four years. She has an BA in Elementary Education, and a MA in Educational Psychology. She is fluent in American Sign Language and experienced in working with children with challenging behaviors. She travels from school to school working with and consulting teachers, as well as working one-on-one with children. She has traveled extensively through Europe – Ireland, Holland, Belgium, Luxembourg, Italy, Germany, Switzerland – as well as in Ecuador, Canada, Jamaica, and many other locations. Angela loves her job as a teacher, but during the summer feels she could be doing more with her time, and would love to travel with your family and help your children grow. Jessica has worked with children for many years, and loves to absorb and experience all their creativity. She even used her own sense of creativity and adventure to start her own sewing company called Sew Jessica! Through that company and her training from FIDM (Fashion Institute of Design & Merchandising) Jessica taught children and adults alike, often doing in home lessons. She has worked with many high profile clients and celebrities throughout the Los Angeles area. Beyond her sewing work, Jessica has experience as a professional childcare provider and teacher/tutor. She has a working knowledge of baby sign language, and has worked with children with special needs on the Autism spectrum, and with learning disabilities. 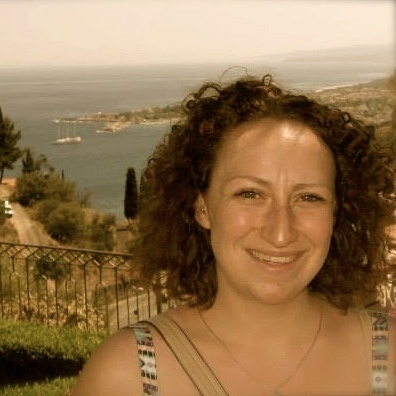 Jessica has traveled to Ethiopia and Europe, and has good city knowledge of Chicago and many locations in California. Jessica is excited to plan creative and enriching outings with your children and family! Sima is passionate, dedicated, and fun, and aspires to make a difference in children’s lives. She holds a Psychology and Anthropology degree from Mount Holyoke College, with a focus on developmental and educational studies. Sima has worked with children in many different capacities. She has worked as a nanny, a Teacher’s Assistant and Tutor. She also has experience working with children with emotional and behavioral challenges. Sima is an avid traveler, with years of experience being on the move. She’s been to several countries in the Middle East, Eastern Europe, Africa, and the Americas. She is fluent in Russian, Arabic and English, with knowledge of Ukrainian, Hebrew and Spanish. Sima’s passion for working with children, coupled with her experience and creative and fun personality make her an ideal nanny. She is ready to help your children grow through their most significant developmental years! Michelle has worked as a professional nanny for over 6 years! She has a degree in Early Childhood Education, and has worked as a Postpartum Doula for multiple families. She has traveled as a nanny multiple times, as far as China! Michelle is confident in her ability to travel with children. She loves the outdoors, swimming, hiking and spending time at the beach. She is a creative person, with a love of reading and doing arts and crafts. 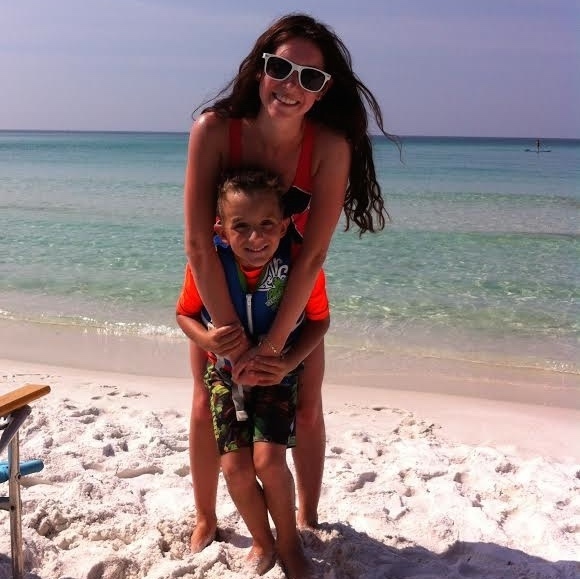 Michelle’s appreciation and love of working with children would make her the perfect nanny to travel with your family. Skye has traveled and lived abroad in various locations. She has been watching children for many years, and grew up in a large family as one of the oldest cousins, allowing her to quickly grow comfortable around young children. She has been a camp counselor, babysitter and caretaker for children during her current job at the Seattle Athletic Club. She received her Bachelors from Scripps College in Southern California where she had the opportunity to travel and live in Ireland. She has also been to England, Belgium, The NEtherlands, Scotland, Egypt, Turkey, Italy, China, France, and Spain. Skye is passionate about childcare, and is an extremely well traveled, well educated young woman. She hopes to one day hike the full Pacific Crest Trail, compete on Jeopardy, and publish a book! Diana is a spontaneous traveler with a deep seated passion for childcare. She has been babysitting and nannying since she was eleven years old, starting with family and family friends and moving forward to more formal positions. She received an Associates of Arts Degree in Visual Communications and Web Design, but has had a hard time finding a job that truly interests her in that field. She was always drawn back to childcare. Diana’s father is a pediatrician, and her appreciation and love of childcare was inspired by watching and helping her father work. Diana has traveled extensively throughout the US, and even won a trip to Australia when she was an audience member at the Ellen show! Diana is open to all adventures, and would be happy to relocate for the right family. Kimmy is compassionate and responsible, with over four years of professional childcare experience for New York City families. From the age of 12, when she and her friends began their own “babysitter’s club” in her hometown outside of Boston, through her time as a student at NYU and Boston College, and later as a freelance actress and writer in New York, Kimmy has utilized her enthusiasm for the arts and imagination in her work as a part-time sitter, full-time nanny, camp counselor, teacher, and tutor. Her favorite babysitting activities include putting on plays, inventing new crafts, and of course, playing outside! Erik is a manny from Brooklyn with over 4 years of experience with children between the ages of 2 and 12. In addition to his childcare, he is a musician, and loves to explore all things music. After leaving art school in 2009 he pursued a career in design at an ad agency, but quickly realized something was missing. After leaving his position as a designer, music and childcare became a calling. Erik loves to encourage children’s creativity and learning, and uses his own musical talents to help in these endeavors. Janel has been working with individuals with special needs for 15 years. Her brother has autism and she has experience working with Down syndrome, cerebral palsy and individuals with developmental disabilities through both volunteer and paid work. While volunteering with Special Olympics as a coach, she trained and encouraged the athletes to compete in track and field, cycling, and soccer. She also volunteered to tutor at-risk students at a local elementary school for four years. Janel has worked as a personal care assistant for students with cerebral palsy at Clelian Heights School for Exceptional Children. Janel has been working in New York City as a part time nanny for the past year and absolutely loves it! Outside of work Janel also volunteers at a safehouse for human trafficking survivors in Queens. She is compassionate, outgoing, and fun. Janel has a great work ethic, and understands the need for flexibility and is a team player. She loves adventure and exploring new cultures. Caty is the definition of a High Profile Nanny – She has worked for almost 5 years throughout the LA area as a nanny. Caty was very quickly introduced to traveling and plane travel, as her mother was a stewardess. Caty is proficient in spanish and italian, studied classical piano, and has traveled extensively, both on her own and with families. She has been to Italy, Germany, the UK, France, Spain, Argentina, Mexico, the Bahamas, Australia, and Hawaii. Caty also has professional and personal experience working with twins, as she is a twin herself! She loves to surf, hike, practice yoga, and play a variety of sports. Caty is active, driven, ready to explore, and looking forward to her next adventure! Have you ever twirled in the rain and caught frogs in the puddles? Chased lightning bugs and caught them in a jar? Raised a butterfly to let her go? Liz spent the last seven years creating teachable moments for her students. As a former Outward Bound instructor and middle school science teacher, she loves to bring the world alive for kids and awaken their intellectual curiosity. With a Masters in Education and deep commitment to exploring the world around her, she would love to spend time traveling with your family. She is a seasoned traveler – having traveled all over the world salsa-dancing in Mexico, rock climbing in the Patagonia, and hiking in Laos. She speaks Spanish, lives in Seattle, WA, and studies education law at the University of Washington. Jessica began traveling at a young age throughout the US with her family, and was immediately bitten by the travel bug. By age 15, she was living in Paris for the summer learning French and immersing herself in the culture. She has since lived in Germany, Spain, and England, and traveled throughout Europe and the Caribbean. She began working with kids as a nanny, and went on to get a Bachelors in Communication and Art History as well as a Masters in Teaching K-8th Grade. Jessica loves teaching children about new lands and their history, and believes the best way to learn about those places is to explore them first hand. Other than being a certified teacher and experienced nanny, Jessica has also worked as a summer camp coordinator, and is familiar with planning an active and educational schedule that will keep children entertained! Jasmine is an art enthusiast with over 10 years of childcare and experience. She has studied childhood developmental psychology and worked at Montessori and Waldorf schools. Jasmine created a creative movement class for preschoolers, and has traveled with families to New York, Los Angeles, Alaska, and Mexico. She currently lives in Madison, WI where she teaches Pilates, dance, and plans adventures. Isabel is an experienced nanny, having worked with children from 3 weeks to 12 years old. When she was a Ski and Snowboard School Instructor in Breckenridge, CO, she cared for over two dozen young children all at once, both on the slopes and off. She has had experience caring for many children with special needs, as well as children with either long or short term illnesses. Isabel loves to teach and grow with the children around her, and she strives to create conducive learning environments to help growing minds. She prides herself on creating interactive activities with children, like reading aloud, crafting, and playing outside.